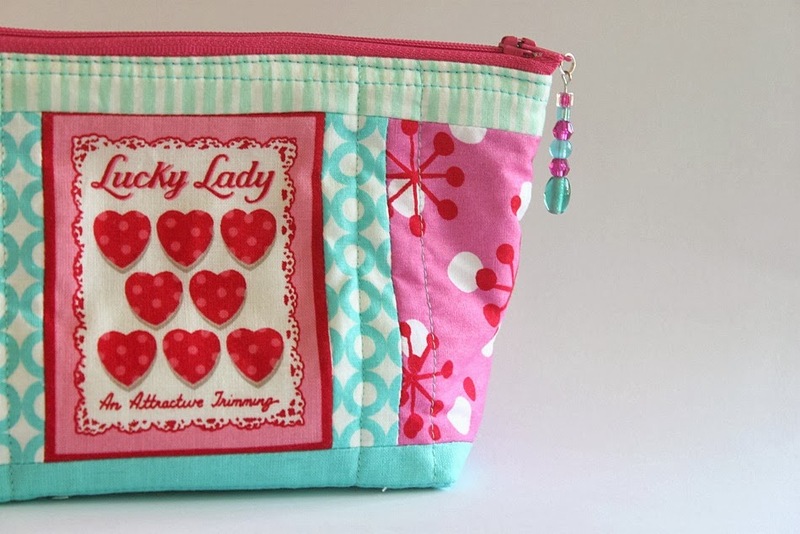 When I made my most recent pouch for the Sweet Pouch Swap, I felt like it needed something a bit extra. A bit of bling perhaps? 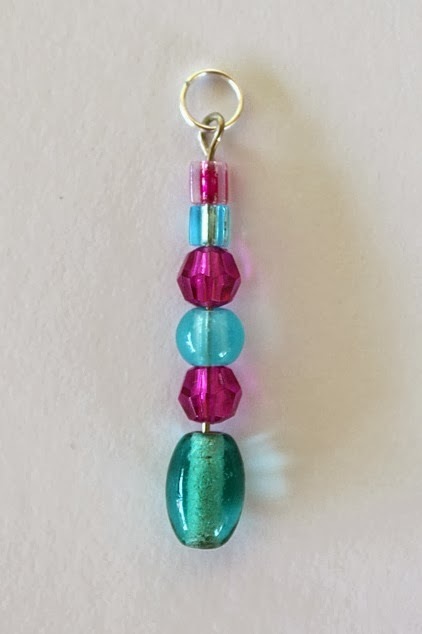 Several years ago I used to dabble in some jewellery making and I’ve kept all my supplies and tools, so I made a little beaded zipper pull. I was so happy with it – it added that little extra ‘something’ to the project and was really quick and easy to make. 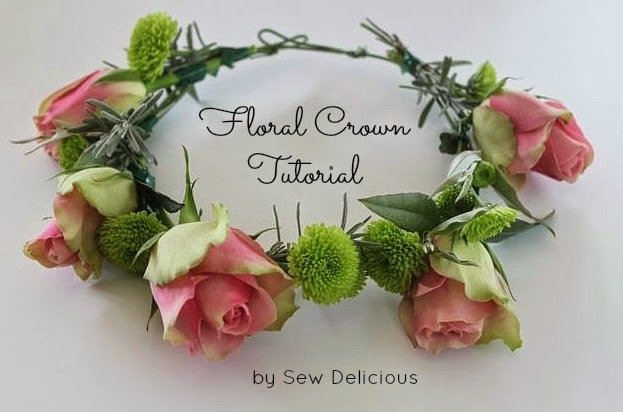 I’ve tinkered around and come up with this tutorial so you can make some too! 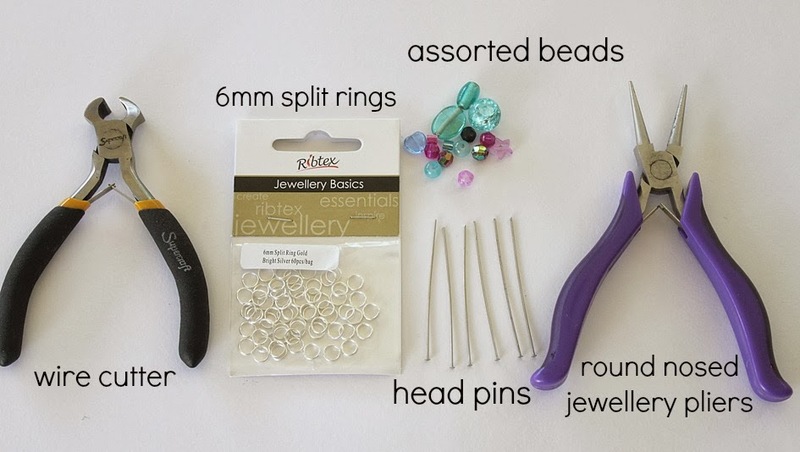 All these are readily available in the beading / jewellery making section of your local craft store. There is also a huge range available online – Amazon has a huge range on their beading and jewellery supplies pages and you can also check out sites like Etsy and Craftumi. 1. 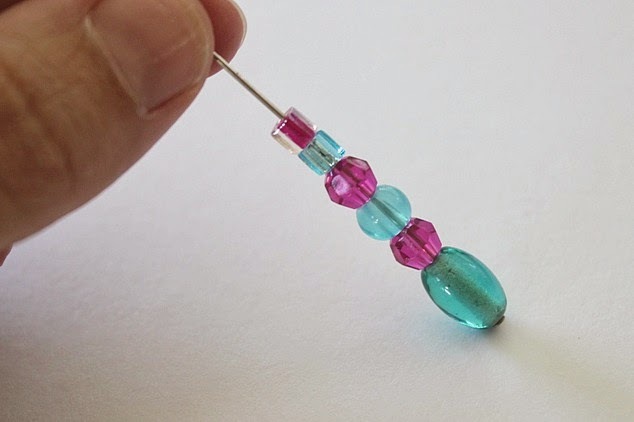 Take a head pin and arrange your beads. Leave approximately 1cm (1/2″) of wire at the top. 2. If necessary, use your wire cutting pliers to cut your head pin to size. 3. 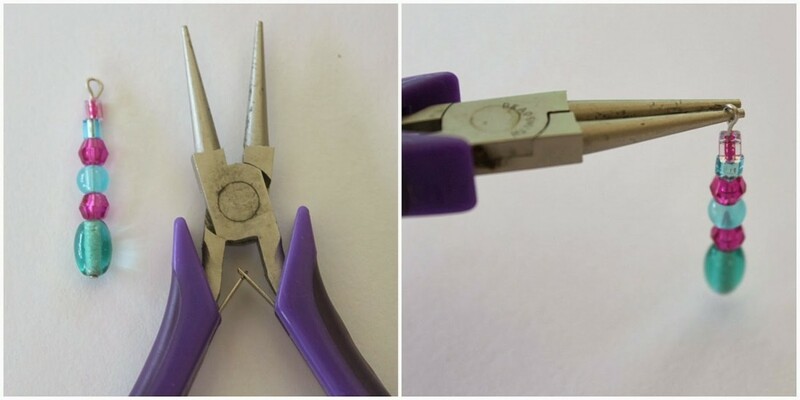 Use the round nose pliers to twist the top of the head pin into a loop. You may need to manipulate it a little bit to achieve the desired result. 5. Take a split ring and attach it to the loop at the top of the head pin. 6. 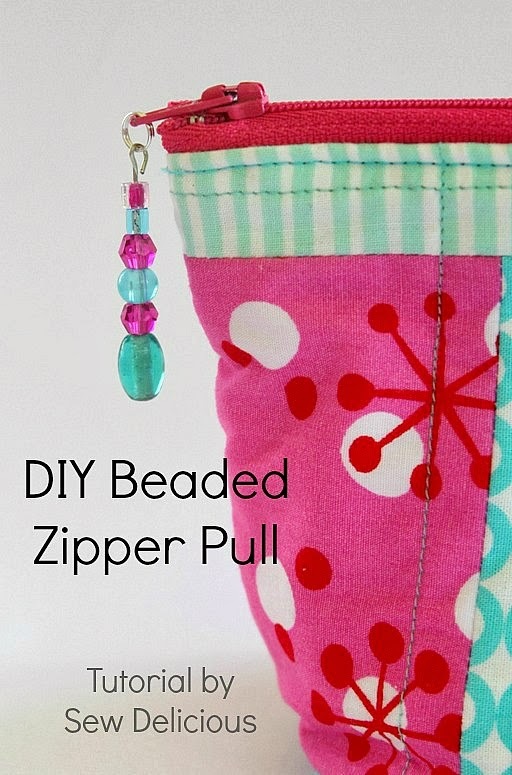 Attach the beaded zipper pull to the zipper using the split ring. All finished! 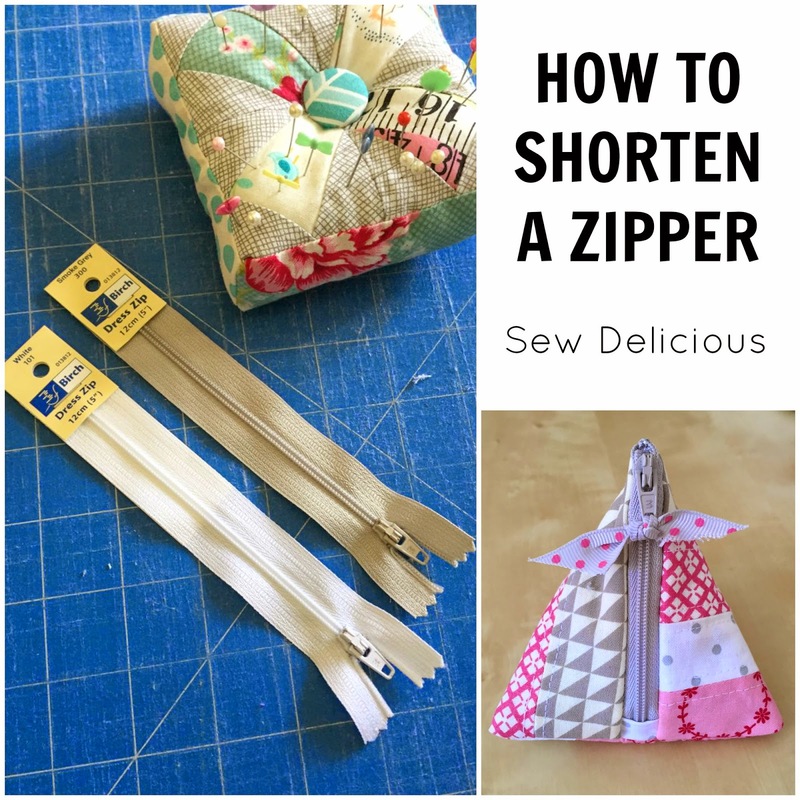 Now make a bunch of them and make your zipper projects pretty! 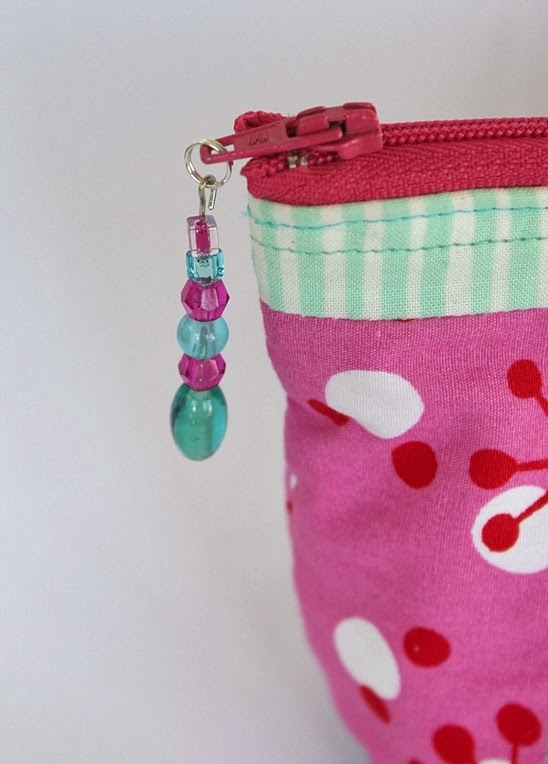 If you make a beaded zipper pull using my tutorial, please share – I’d love to see it! Post it on my facebook page, tag me in your instagram pic or add it to my flickr group. To keep up to date with all my sewing projects and tutorials, make sure you sign up for my newsletter! So simple! So super cute! How clever. With winter gloves, it would be nice to have something bigger to grab than just the zipper pull. Awesome idea – I do like a bag with a bit of bling! I like zipper pulls too, but I make mine differently. Instead of a head pin I loop some hat elastic around the end of the zipper. Then I thread beads onto the elastic. Pull firmly and tie a knot. Trim. The elastic gives a bit of flexibility and does not break. 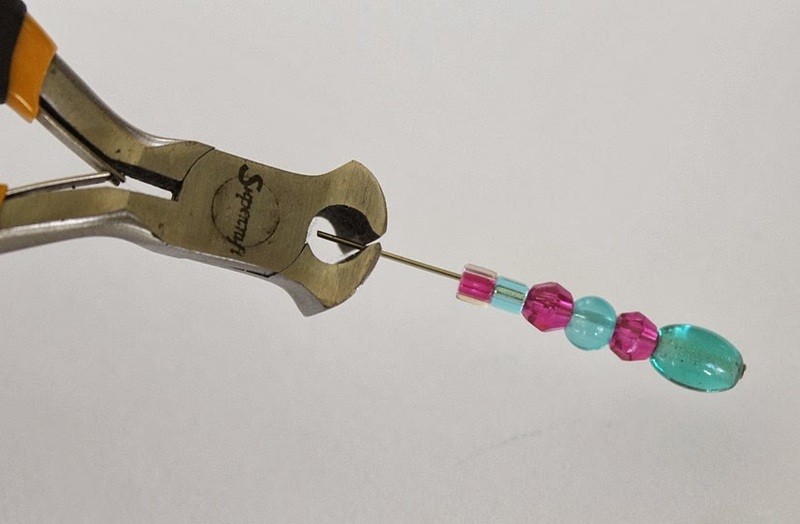 Sometimes I use a large needle to thread the elastic through the beads. As you pull the diameter of the elastic becomes smaller. Soooo easy. This method works well for USBs, handbags, hand luggage, hats, umbrellas, and even scissors. 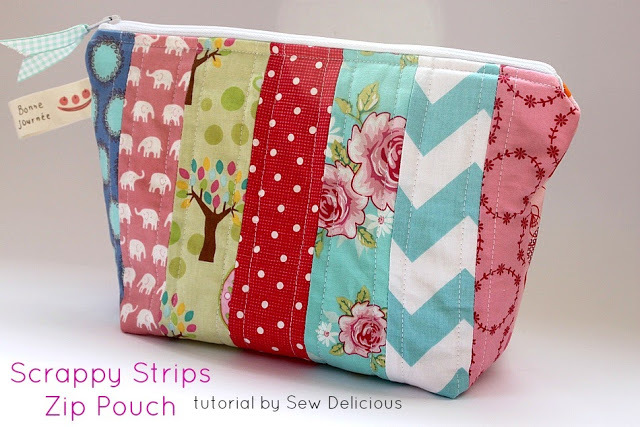 Great way to jazz up a zippered pouch, Ros and it looks easy enough to do. So simple but so effective. Thank you for the tutorial. These will look great with my quilted bags, thank you! So glad I found your tutorial. 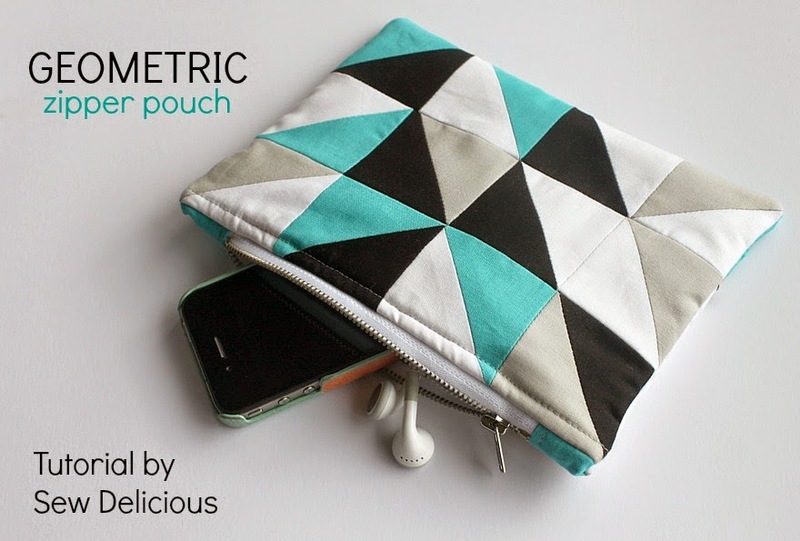 going to try this asap on my zipper pouches!!! thank you thank you thank you. You are welcome – I’m glad it was helpful for you! What goes on first to keep the beads from sliding off? Also how can I make it a bit longer? Do the head pins come in different lengths?